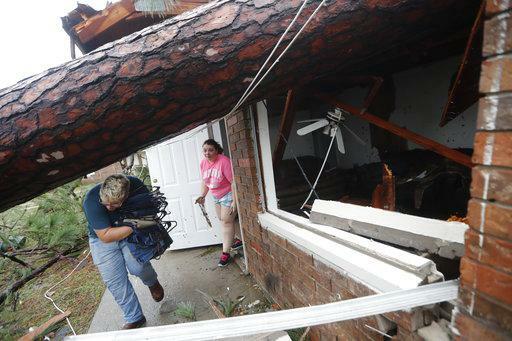 Megan Williams, left, and roommate Kaylee O'Brian take belongings from their destroyed home after several trees fell on the house during Hurricane Michael in Panama City, Fla., Wednesday. A historic hurricane ripped through Florida's Panhandle and into southwest Georgia late Wednesday, killing two people in its path. Gov. Nathan Deal held a news conference online at 10:30 a.m.
President Donald J. Trump declared a state of emergency in Georgia and ordered federal assistance to supplement state, tribal and local response efforts. FEMA is authorized to identify, mobilize, and provide at its discretion, equipment and resources necessary to alleviate the impacts of the emergency. Trump's declaration means federal resources are available in Georgia. GPB's Robert Jimison reports. The last time a major hurricane hit Georgia was in 1898. Hurricane Michael crashed into the Florida Panhandle just 1 mile shy of a Category 5 storm, with sustained winds of 155 miles per hour. Residents and officials in southwest Georgia are taking stock of the damage after Tropical Storm Michael — at that point still a hurricane — swept through the area. Bainbridge City Councilor Roslyn Palmer and her family rode out the storm in her house. 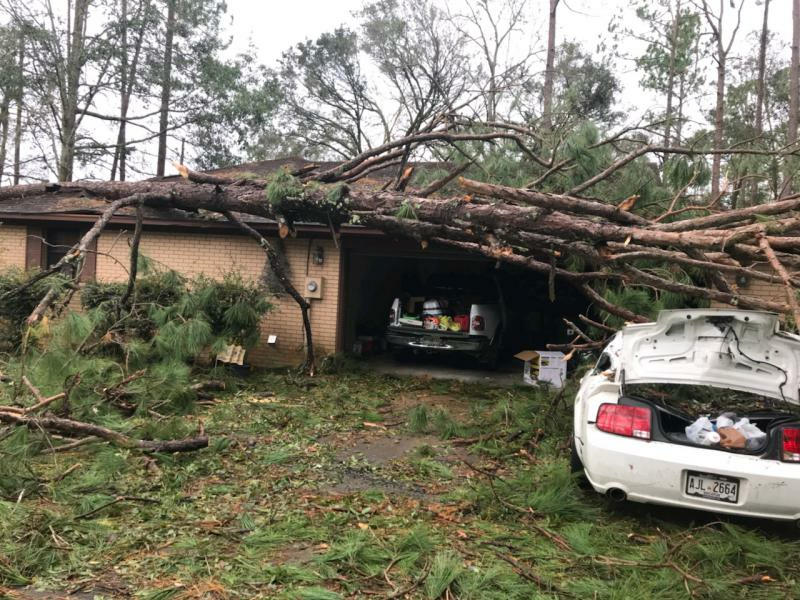 Bainbridge City Councilor Roslyn Palmer and her family rode out the storm in her house Wednesday. 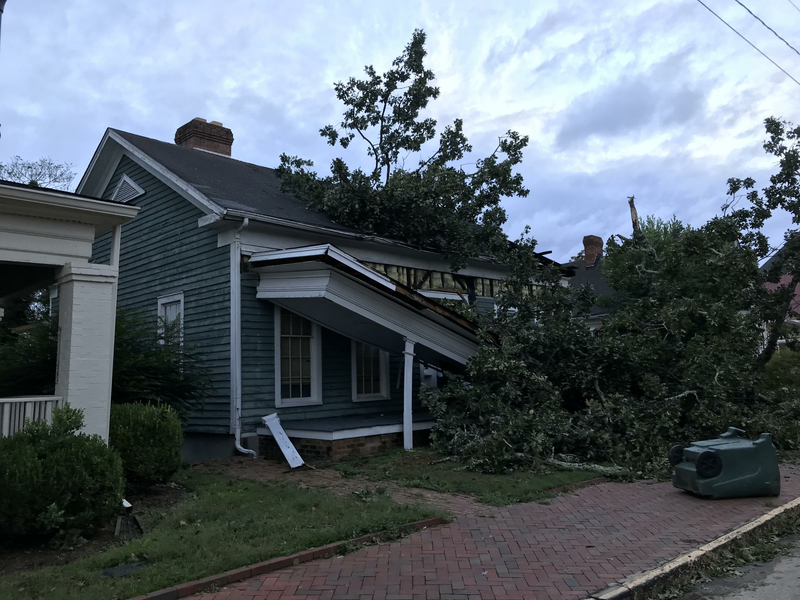 Bainbridge residents woke up to severe damage from downed trees and debris throughout the area. 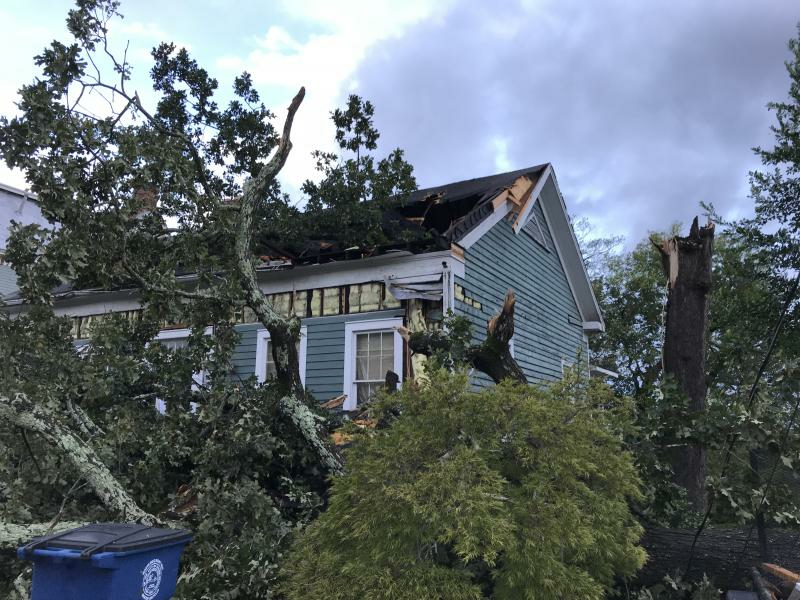 Georgia's Seminole County Emergency Management Agency said a tree fell onto a home Wednesday evening, killing an 11-year-old girl. The first death occurred in Gadsen County, Florida, when a man was hit by a falling tree. What was Hurricane Michael left two people dead as it moved from Florida into Georgia Wednesday. GPB's Taylor Gantt reports. 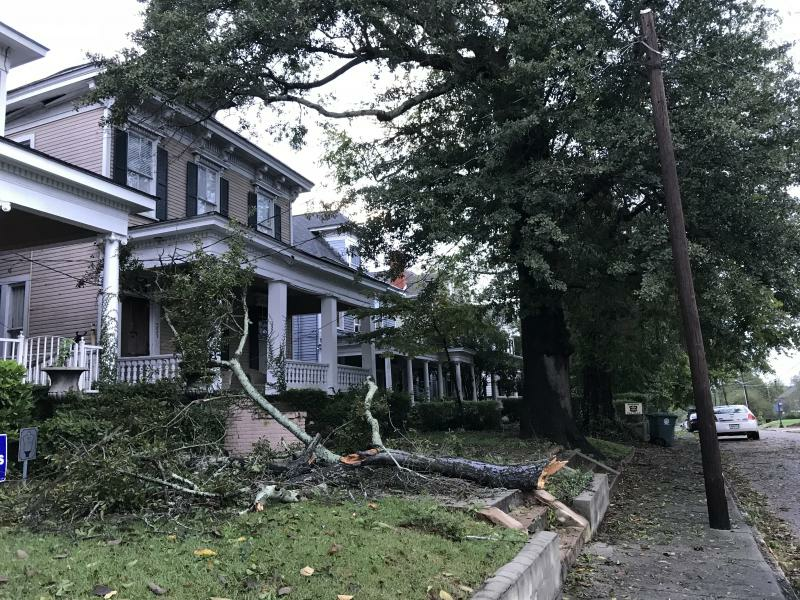 An Atlanta woman was injured just before 6 a.m., when a tree landed on her car, according to Channel 2 Action News. She was hospitalized after firefighters cut her free. The core of Michael moved across the eastern part of the state and into South Carolina Thursday morning and was headed toward eastern North Carolina and southeastern Virginia. By late Thursday or early Friday, Michael will head back into the Atlantic Ocean, according to the National Hurricane Center. More than 300,000 people across the state lost power overnight as the storm sped through, according to Georgia Power and Cobb EMC utilities. While most of the storm has moved out of state, watches, warnings and advisories are posted here by the National Weather Service.